The fact that Pope Francis scheduled a visit to Curran-Fromhold Correctional Facility on Sept. 27 during his two-day visit to Philadelphia for the World Meeting of Families is not at all unusual, given his past practice. It would be difficult to dismiss the visit as grand-standing or false humility, as one suspects it is at times when dignitaries visit prisons or other institutions for the down trodden. This is an old habit from when he was the very camera-shy archbishop of Buenos Aires who rarely and very reluctantly gave interviews to the press. Argentinian journalist Jorge Rouillon spoke of this in an interview given to the National Catholic Register in 2014. Rouillon recalled how difficult it was to obtain an interview with the future pope except for a brief encounter he had one evening in 1999 when his car was passing Buenos Aires’ Villa Devota Penitentiary. The journalist noticed a priest in clerical garb come out of the prison and recognized him as Archbishop Jorge Mario Bergoglio. The archbishop was preparing to catch a bus back to his apartment just the way he came. Rouillon with difficulty persuaded him to accept a ride because he was going in the same direction. It was Holy Thursday, and Archbishop Bergoglio told him that he had just visited the prisoners for two and a half hours, and washed the feet of 12. On another Holy Thursday — 2001 and by this time a cardinal — he visited a hospice and kissed and washed the feet of 12 AIDS patients; in 2008 he did the same for 12 recovering drug addicts. 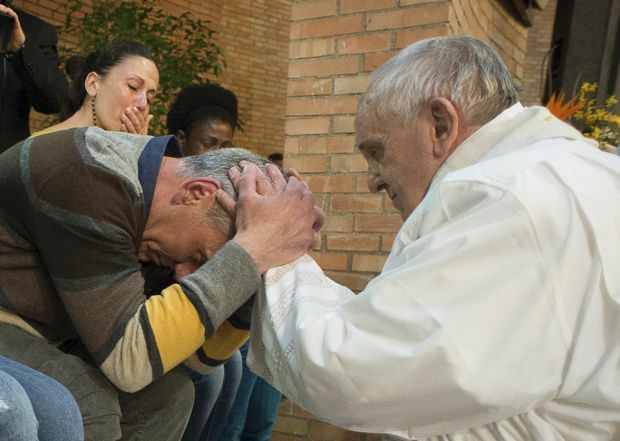 This year on Holy Thursday, Pope Francis again washed the feet of 12 men and women in a Roman prison, and also a toddler, the child of an inmate. 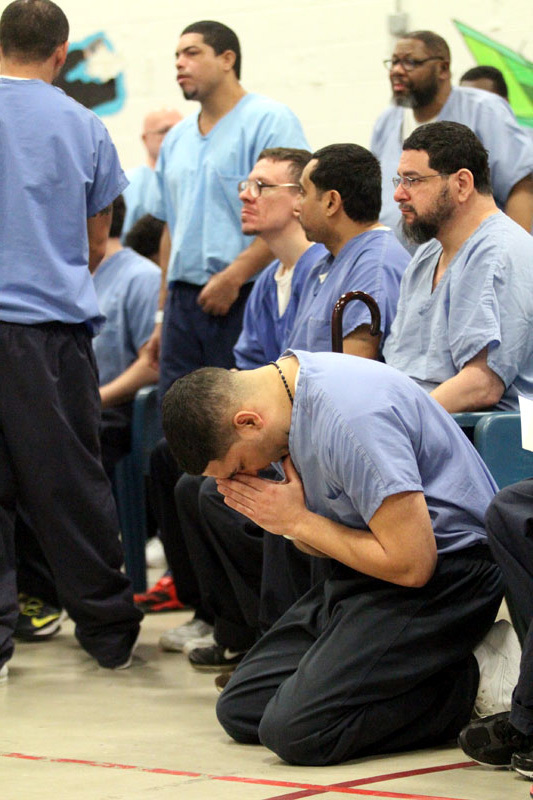 Prison visitation is not limited to Holy Thursday. Two weeks earlier he visited a Naples prison and shared lunch with almost a hundred prisoners, including some from a ward housing gay, transgender and HIV-infected prisoners. During his July visit to Bolivia this year he visited Palmasola Detention Center in Santa Cruz, perhaps the most notorious prison in the country. 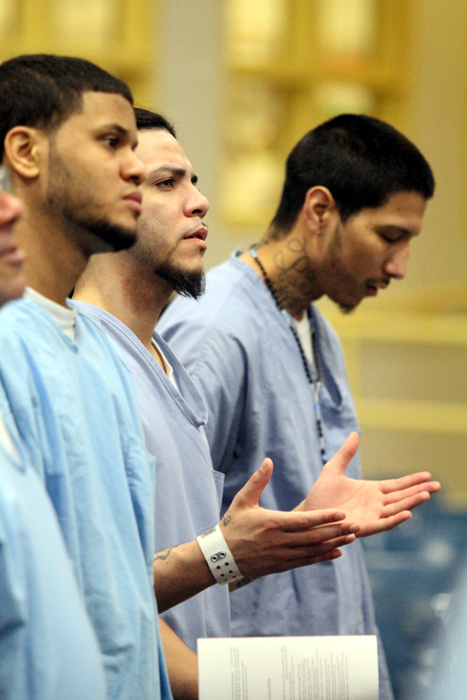 Pope Francis does not limit his compassion and advocacy for the imprisoned just to prison visits. In an October 2014 address at the Vatican to delegates of the International Association of Penal Law, he gave a stinging rebuke to the criminal justice system as it is practiced in many parts of the world, without naming names. He especially condemned the death penalty for any reason and also life imprisonment. As for life imprisonment, it was recently taken out of the Vatican’s own Criminal Code. “A life sentence is just a death penalty in disguise,” Pope Francis said. During his upcoming visit to the United States, it would be most surprising if he does not discuss capital punishment, life sentences and humane treatment of prisoners. On the issue of capital punishment he is hardly alone in condemning it. It has already been abolished in virtually all of Europe, Latin America and many countries of Asia and Africa. The United States at this time is the only country in the Western Hemisphere that still legally executes criminals. And it is the country with the highest incarceration rate in the world at more than 700 per 100,000 population. These are the people Pope Francis will meet and speak with on the morning of the final day of his trip to the U.S.
NEXT: Hundreds rally for life, respect for women in Phila.